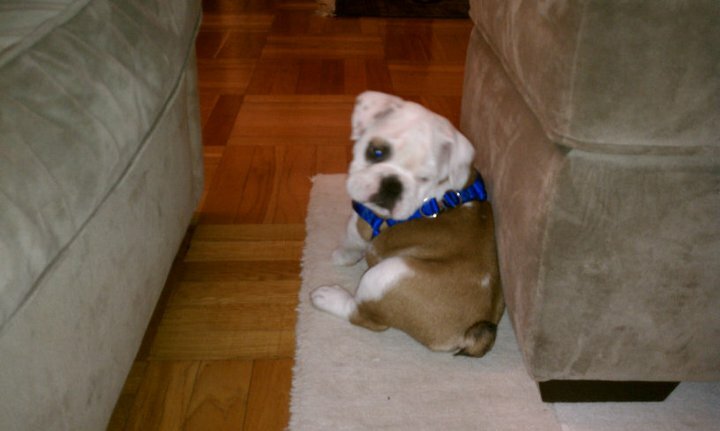 As you can see from my “About the Blogger” page, I am quite fond of my bulldog, Henry. For years, my (now) husband and I talked about getting a dog and finally agreed to do it after our wedding. After only three weeks of being married, we started actively looking (would have been sooner, but the honeymoon got in the way, lol). Initially, we had agreed on a Lab or Golden Retriever, but we kept seeing English Bulldogs either on TV or in our neighborhood and we were smitten with the breed. 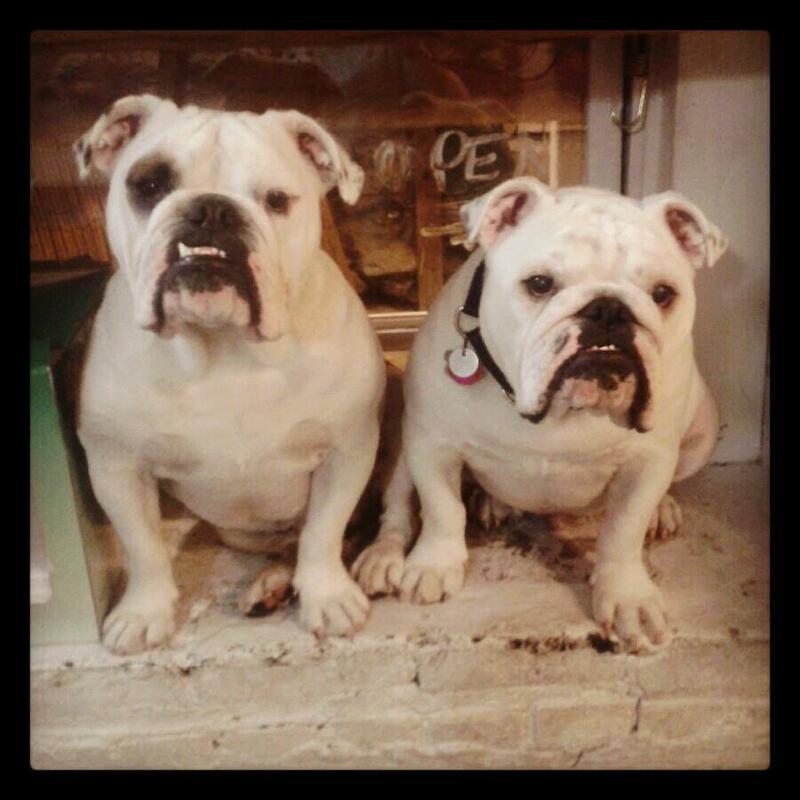 Their wrinkly faces, funny gates, and wild mix of snorts and grunts, made us fall in love quickly. Bulldogs unfortunately have fairly short life spans (8-10 years) and are known for a multitude of health issues, so we proceeded with caution. After finding a local breeder who had a litter almost ready, we agreed to “just take a look” (famous last words, right?). It took us all of five minutes to find our perfect bully boy, Henry. Raising a puppy at eight weeks was quite the experience – extremely challenging and rewarding at the same time. There were times when I came home crying, not understanding how such a small dog could cause such a huge mess! But, we forged through it, and now can’t imagine life without our furry beast. We’ve been lucky with his health – a few minor skin issues, but no major breathing problems, allergies, or skin infections (all of which the breed is prone to having). He’s thick as thieves with our son, J.P., and this is why I break for bulldogs!